When you present you want to maximise the understanding of your audience. And you do that by ensuring your audience is engaged with you and the subject. There’s more to engagement than just speaking on the podium, though. So fortunately there are some useful presentation skills that you can use. And one of the best is to use a theme to help your audience engage. In this piece we show you how to engage an audience in a presentation with a theme. There are 5 things to bear in mind, though, when you use a theme in your presentation. Make it memorable. Themes help your audience to remember your presentation. And when your audience only retains some 10% of your speech that’s important. Themes are remembered by an audience because they can be. They work in much the same way as logos, slogans or catch phrases. They are typically creative, clever and appropriate for the task. So, these presentation design choices should help. Because visual themes also work well with memory. So, you might also find that a PowerPoint or Keynote theme is useful. Keep it simple. Your theme should be both simple and consistent. The simplicity is critical for memory—you don’t want your audience struggling with complexity at this stage of the event. Consistency is all important. You should neither deviate from the theme during the presentation nor be tempted to make adjustments as you go along. Be practical. Your theme should evoke practicality and purpose. If it has these qualities it will be familiar to your audience and prove more meaningful. Practicality suggests utility and benefit—both are of interest to your audience. When your audience can sense practical benefits attributed to listening and engaging—their engagement increases. Be thorough. There is no need to struggle for ideas when thinking of a theme for your presentation. There are many workable approaches to getting it right. You can talk to the conference organisers. You can establish whether the conference itself has a theme. Or you could identify if your particular day has a theme to it. In either case you should aim to use this theme. Or tweak it slightly to your own purpose. Using something that has resonance elsewhere will be productive. As an alternative you can look at all the other presentations on the agenda and establish whether there is a theme that runs through all of them. If there is, then use it. You could also think about some of the pressing issues that your audience will recognize from their work or professional interests. Issues such as: competition, globalisation, outsourcing, innovation or quality. Such issues might be both relevant and familiar. Therefore, they could prove useful in building a theme that is practical, consistent and simple. This Mercedes-Benz presentation used a visually rich theme at CES in Las Vegas. Consider the objective. As you finalise your theme you should recall the purpose or mission for your presentation. You are looking to achieve something with your audience. Change their ideas. Change their opinions. Or, change something that they do. Your theme should help you in this mission. So aim to align both your purpose and your theme. Use a theme to keep your presentation audience engaged. Make your presentation memorable with a memorable theme. Keep your theme simple and consistent. Make sure that your theme is practical. Be thorough with your theme. Link your objectives and your chosen theme. Your audience will only recall some 10% of your presentation. Therefore, your task as speakers is to increase that percentage. Or, at least ensure the right 10% is retained. So, just remember that a practical and memorable theme will boost an audience’s memory retention! And, of course, it will help you with their engagement. 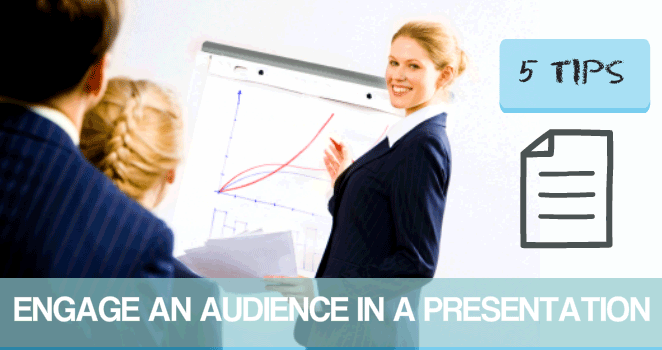 You can learn more about how to engage an audience in a presentation on a presentation training course.